Defining flare in patients with SLE is challenging. I have worked for many years to achieve the optimal way of doing this by 1) utilising a retrospective data analysis from the University College London Hospital lupus cohort, 2) a “live” patient studies involving rheumatologists from around the world and 3) a substantial case history analysis (with cases coming from all over the world). Using the classic BILAG system, my colleagues and I showed that (1) in the course of a year approximately 10% of patients with lupus will have an ‘A’ flare; 50% will have one or more ‘B’ flares with about half each coming from a previous ‘C’ and ‘D’ and about 40% of patients in the course of a year will not flare. In a study of 16 “live” SLE patients examined by a panel of 16 rheumatologists (2) the overall agreement between flare defined by BILAG 2004 and the SELENA Flare Index (SFI) was 81%. Intraclass correlation co-efficients were 0.54 (0.32 to 0.78), for BILAG 2004 compared with 0.21 (0.08 to 0.048) for the SELENA Flare Instrument and 0.16 (0.06 to 0.54) for the physician’s global assessment. A more recent large-scale analysis of close to 1,000 patients has just been accepted for publication (3) and like the original study implies that distinguishing no activity from severe activity is not much of a problem but there are remaining issues distinguishing severe and moderate disease and mild disease and moderate disease. 1.Ehrenstein MR, Conroy SE, Heath J, Latchman DS, Isenberg DA. The occurrence, current nature and distribution of flares in a cohort of patients with SLE. Brit J Rheum 1995; 34: 257-60. 2.Isenberg DA, Allen E, Fairwell V et al. Assessment of disease flare in patients with systemic lupus erythematosus: a comparison of BILAG 2004 and the flare version of SELENA. Ann Rheum Dis 2011; 70: 54-9. 3.Isenberg DA, Sturgess J, Allen E et al. A study of flare assessment in systemic lupus erythematosus (SLE) based on paper patients. Arthritis Care Res 2017: April 7. DOI 10.1002/acr.23252. Epub ahead of print. 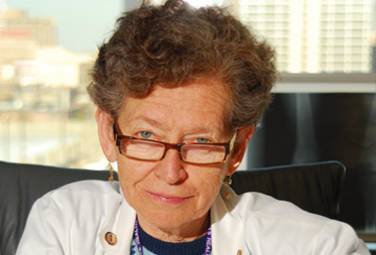 Dr.Isenberg is the academic director of Rheumatology at University College London (UCL). He trained at St Bartholomew and North London hospitals, and at the laboratories of Drs. Ivan Roitt (The Middlesex Hospital London) and Robert Schwartz (New England Medical Centre in Boston). 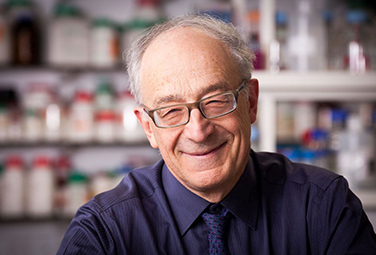 Dr. Isenberg has been associated with the SLE cohort at UCL hospital (700 patients) since 1979 and currently chairs the BILAG group (responsible for developing the BILAG index), the Lupus UK’s Research Committee and a Local Clinical Trials Network Enabling Group in North London. He is a former chair of SLICC, ex-president of the British Society for Rheumatology (2004-2006), and ex-Chair of its Biologics Register Committee (2006-2011). He received the Evelyn Hess Award (2010) from the Lupus Foundation of America for his outstanding contribution to SLE – the first non- North American to receive it; the Roger Demers Award from the Laurentian Conference of Rheumatology (2012) for “his unique contribution to international rheumatology”; and the Reumeritas Award given biannually by the Portuguese Rheumatology Society for scientific merit in the field of rheumatology (2016). He has published 540 original articles and over 285 reviews, chapters and written and/or edited 20 books. His alter-ego ‘Lupus Dave’ sings and writes for ‘Lupus Dave and The Davettes’!